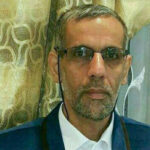 HRANA News Agency – Mohammad Mahdavifar from Aran and Bidgol who was arrested by security forces in Mashhad on January 14, 2018 and was transferred to Isfahan Central Prison to serve his imprisonment, was sentenced to two years imprisonment and fine of 40 million IRR in another case on charge of publishing lies with the aim of disturbing public opinion by Branch 102 of the Criminal court in Aran and Bidgol. 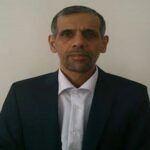 HRANA News Agency – Mohammad Mahdavifar, a poetfrom Aran and Bidgol was released from the central prison of Isfahan after 45 days of detention in solitary confinement. He had been arrested by Intelligence officers. HRANA News Agency – Mohammad Mahdavifar, resident of Aran and the poet who is known for his Alefba poem, was arrested again by security forces and transferred to an unknown location. HRANA News Agency – The Court of Appeal of Esfahan changed the 1 year and a half imprisonment sentence of Mohammad Mahdavifar, poet from Aran Bidgol and the poet of “Alphabet” to a fine. HRANA News Agency – Mohammad Mahdavifar, poet from Aran Bidgol has been sentenced to a year and a half in prison in the primary court. HRANA News Agency – Mohammad Mahdavifar, Kashani poet, was interrogated and summoned to the court on charge of writing a poem.